Attackers are getting more targeted and advanced, deploying unknown exploits and unique malware that current day endpoint security is not equipped to prevent or even detect. Existing approaches simply can’t protect against these attacks because they don’t have known signatures, known strings –and in many cases, no previously known behavior-so they go straight through, resulting in compromised endpoints waiting for detection and remediation to step in, which is too little too late. 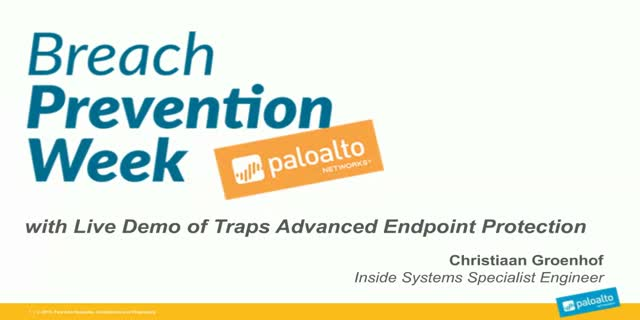 Palo Alto Networks Advanced Endpoint Protection is a complete paradigm shift from detection remediation to pure prevention, designed to close the door on these threats, which manage to evade detection by network-based security or take advantage of blind spots, well before any damage can be done.